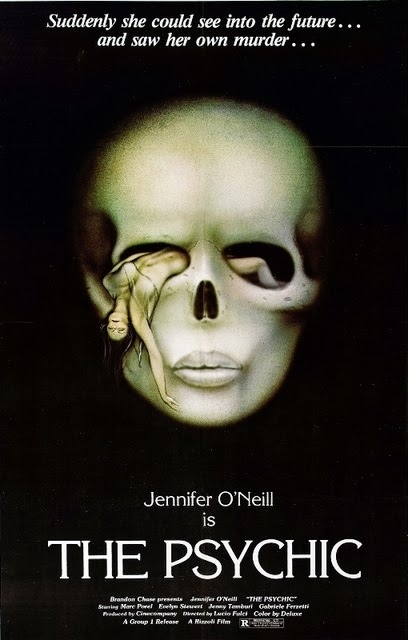 Rupert Pupkin Speaks: Favorite Underrated Horror - Bernardo Villela ""
Bernardo Villela is about to enter his fourth year of obsessive film blogging. His baby in that regard is The Movie Rat, which features movie reviews, analysis &amp; insights on a wide range of topics. There are new or updated posts daily. His other experience includes writing prose and plays, feature and short film editing, writing and directing short films as well as television commercial copy-writing and directing. To read a more detailed biography on his other works visit his production company's site. For information on his novella or other upcoming works visit his Amazon info page. For random thoughts follow him on the Twitter. When following statistics on my blog, I have often noticed that my Top 10 Horror Films of 2011 list gets a lot more traffic than my The Best Horror Films of 2012 list. 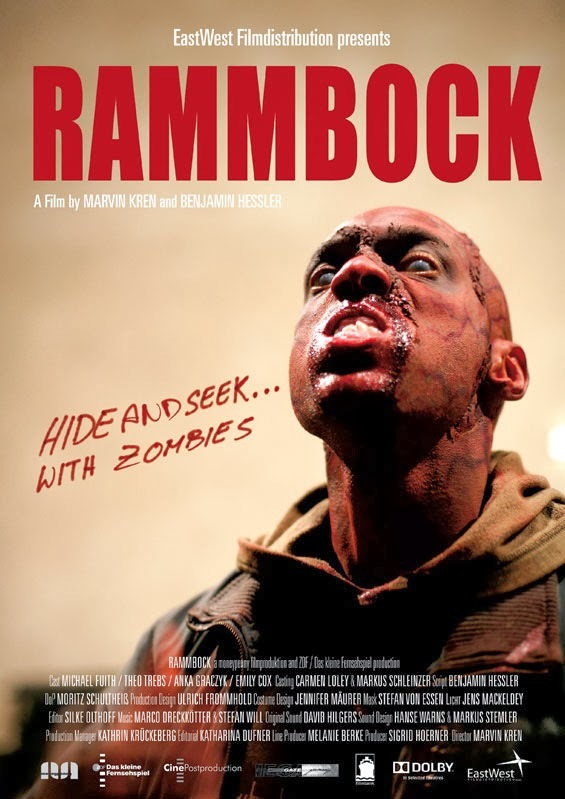 I'd like to think that Rammbock has something to do with that. I cannot back that up though. This is a film that proves quite a few things: firstly, running time is not an indicator of quality. This film runs barely over an hour. There's not a note missed, a thing out of place; and though you may want more you do not need it. Second, despite the fact that it's been marketed in the US as Rammbock: Berlin Undead, believe me that's a hyperbolic title that makes the film sound schlocky. It's not. It is great in every single phase of production. The last, and most important, thing it proves is that there's a lot that can be done with something seemingly overused (like zombies) if your hook is good. The acting here is top notch namely by Michael Fuith and Theo Trebbs (The White Ribbon). Not wanting to give anything away, allow me to just say that when the film ended, mimicking what a commentary track might sound like, I said: "Hello, my name is Martin Kren and I directed the sheiße out of this movie." This was a slot where I could have picked any of Zé do Caixão's incarnations, better known in the US as Coffin Joe. Auteur and actor José Mojica Marins, as is evidenced by the box set of his films that I bought where I was first introduced to him, is not always his character, but this is his most significant contribution to the genre and Brazilian cinema, so I may as well go with the first. As an interview in a documentary about his life and career astutely points out what Marins did was something that was unthinkable: he created an authentically Brazilian archetype in the horror genre. Many of the creatures, tropes and styles of horror storytelling are so deeply rooted either in the US or Europe that refashioning them and making them uniquely Brazilian was something that was heretofore unheard of. Marins made his attempt over the course of several films. His character is steeped in machismo, existential rhetoric and a burning desire to procreate and there's, or course, the incessant lusting for life while being surrounded by death. It's quite nearly a quixotic journey this character takes that allows him to persist and remain permanent even as Marins' cinema has advanced. The introductory film is filled with touches of cinema and television of the time, but also moves narrative forward being buoyed by techniques of the Cinema Novo movement, Brazil's equivalent of the New Wave; a movement in which he found many admirers being referred to as a "pure filmmaker." If you're lucky enough to get a whole of the Region 2 PAL box set, take the plunge it's well worth it. There comes a point in every potential fandom of mine for a filmmaker that's a make or break moment. 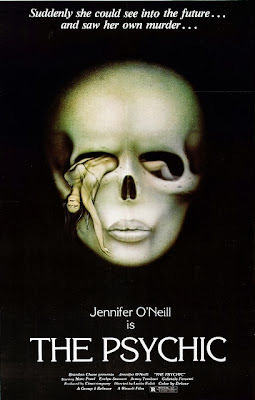 When I saw this film, I had liked a few of Fulci's more well-known titles and been underwhelmed by another. On a whim I decided to blind buy this one and I was blown away. And so far as the underrated aspect of it goes, I have to say that as much as I enjoyed it, even I have underrated it some because I had meant to revisit it before writing it up for this list, alas, time ran short. If there's one thing that's not fuzzy in my memory it's the eponymous seven notes. 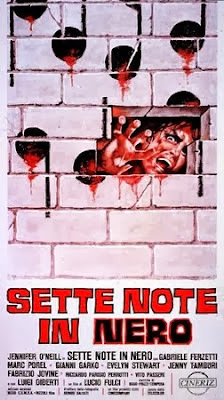 Italian horror films stand out for numerous things. The score is usually one of them. However, what this film also has is the grounding of a supernatural element: the protagonist's clairvoyance being used as weapon to combat forces that may be out to get her. I've often stated that I believe having a preference between Fulci and Argento is fine, but dismissal of the other is foolhardy in my mind. Fulci, to me, is "the other," however, I am a fan and it's hard for me to pin down a favorite film of his, and the conversation ought not exclude The Psychic. It can be hard to forget that horror films do not necessitate a supernatural element, simply because they very often employ one. However, situational, character-based and plausible situations can be the most terrifying. In the same cinematic year that brought a great crop of Best Foreign Language Film Nominees, there were also notable horror titles. There is a kinship between this film and Misery only there's a revenge element, and it's a far more dark and twisted tale. Some of the IMDb synopses are a bit too spoiler-ridden for my liking. Basically, it boils down to this: A former Nazi doctor, Klaus, living in Spain attempts suicide. He fails and is kept alive by an iron lung. 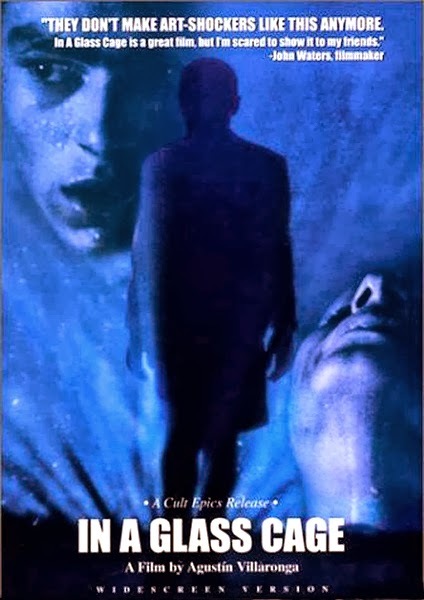 His wife, Angela, unable to bear caring for him, hires a nurse in the person of mysterious teen, Angelo, who knows his secrets, is a bit disturbed himself (for obvious reasons) and decides to give the doctor a dose of his own medicine. I personally, like to go into a film knowing as little as possible. However, going unprepared into a film like this might leave you taken aback, as I have pulled some punches to preserve surprise. To get a better sense of the twists and psychological warfare at play in this shocker I'd recommend reading reviews from sources you trust. I have debated writing a list of films you only need to see once due to their impact and this would definitely make it. A great underrated film from a greatly underrated director. This is one of my favorite older films from last year. Though I knew about it for some time it took me a while to finally see it. When I finally did it was not only a tremendously fun movie, but a memorable viewing experience. It's a movie I soon showed a friend. Hellphone has a fairly simple concept: a teen desirous of a cool cellphone, unlike the one he has, finds one very cheap from an underground merchant. However, it's possessed and soon starts to wreak havoc while seemingly giving him what he wants. While having this Faustian slant the film is also heavily influenced by '80s horror films. For example, the scene in which the phone is acquired seems like it's straight out of Gremlins. The movie is funny, the cinematography is creative and gorgeous, the performances are spot on (namely by the star Jean-Baptiste Maunier, best known for his role in The Chorus) and it's a ball from start to finish. It's a film not available on a region one disc, but if you're so inclined it is very well worth checking out.